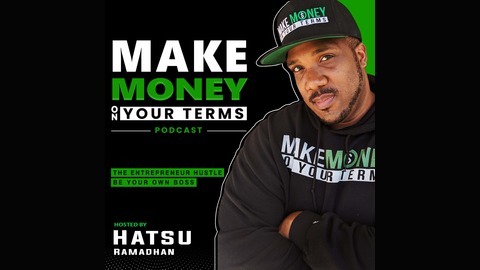 Make Money On Your Terms is all about busting the myth of going to school, getting good grades, and getting a job working for someone else. We encourage everyone to think like an entrepreneur and create the life they want. The entrepreneur hustle is real and being your own boss can allow you to have the best of both worlds - taking control of your financial future and spending more time with those you want WHEN you want. 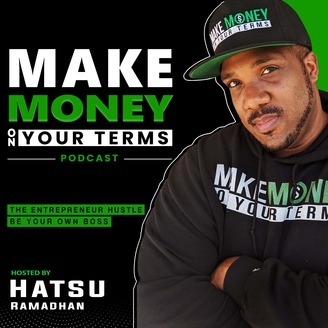 Whether you sell on Amazon, invest in real estate, have a traditional business, or are looking to start a business, tune in because each episode will contain inspiration and encouragement to make money on YOUR terms and interviews of entrepreneurs who have stepped outside the box and who are living life as they design. Wake up because now is your time to live the life you have always dreamed of! !